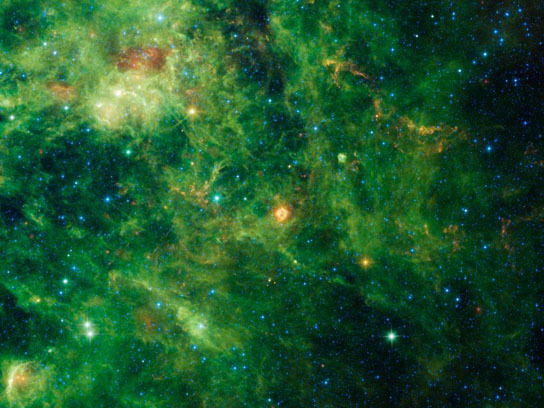 After more than 2.7 million images taken at four infrared wavelengths of light and more than 15 trillion bytes of returned data from the WISE mission, NASA unveiled a new atlas of the entire infrared sky with over 18,000 images and a catalog listing the infrared properties of more than 560 million individual objects found in the images. PASADENA, California — NASA unveiled a new atlas and catalog of the entire infrared sky today showing more than a half billion stars, galaxies and other objects captured by the Wide-field Infrared Survey Explorer (WISE) mission. WISE launched December 14, 2009, and mapped the entire sky in 2010 with vastly better sensitivity than its predecessors. 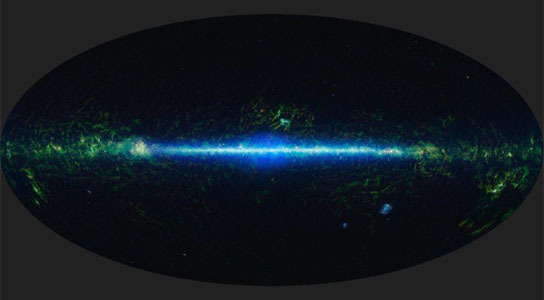 It collected more than 2.7 million images taken at four infrared wavelengths of light, capturing everything from nearby asteroids to distant galaxies. Since then, the team has been processing more than 15 trillion bytes of returned data. A preliminary release of WISE data, covering the first half of the sky surveyed, was made last April. Be the first to comment on "New WISE Atlas of Entire Infrared Sky Contains Over 18,000 Images"